1st- Select or give us 2-3 themes for the art on your Couture Tee. Don't worry, what ever you mention we will use as inspiration to create some amazing art for your Couture Tee. Previous customer theme examples include, "Cherry Blossoms", "Rabbits", "Matisse", "", "Vintage Pin-ups", "Dia De Los Muertos". Anything is game! 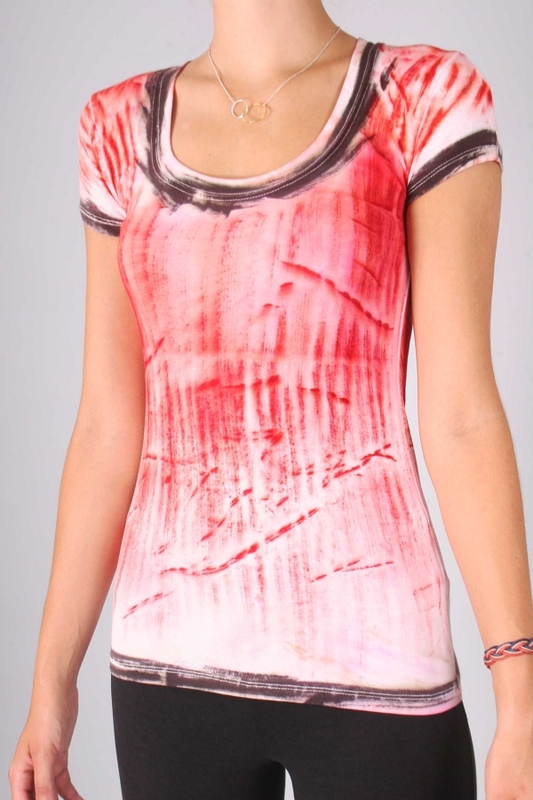 Your tee will be dyed just like the one above in the color of your choice, with the black highlighted trims. We'll then produce art from your themes and apply them to your one of a kind custom super soft cotton tee. 2nd- Sit back and wait 7-12 days for your one of a kind Couture Tee to arrive, slip it on, snap a picture, send it to us and get 30% off your next order at our website COUTURETEE.COM. Just in case you are unsure of our supreme, practically divine skill to create incredible Couture Tees, please visit COUTURETEE.COM and navigate to our Showroom page to check out previous customer examples on Tristan Christopher’s collection page. Limited one of a kind Couture Tees made of an 92% organic cotton,cotton/ 8% spandex blend embellished with original art pieces. Every item undergoes an extensive natural enzyme wash to reveal cotton’s softest character. 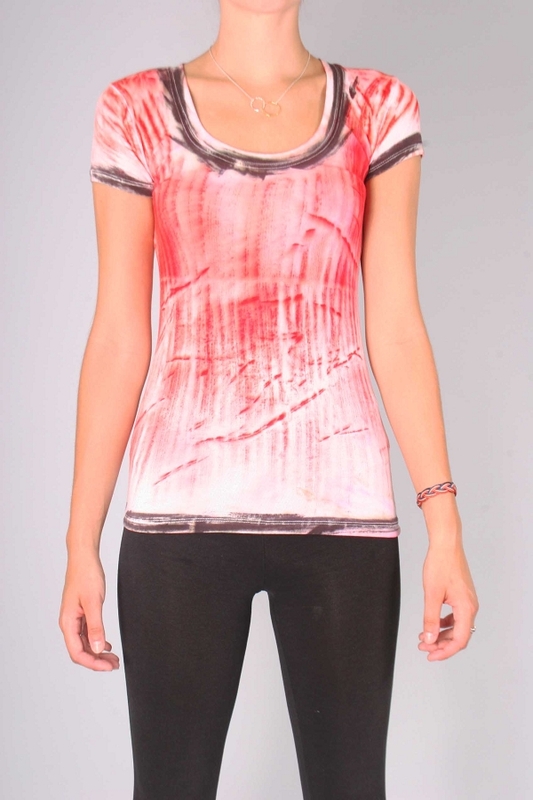 Extra comfy, perfect length, lower neck line, vintage soft tee that ages and softens with washes. Note: Every Couture Tee is made to order by an artist. Artistic inconsistencies make every reproduction unique and yours. No one else will have a tee quite like yours.